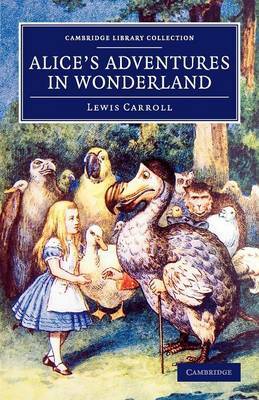 An accomplished mathematician and photographer, Charles Lutwidge Dodgson (1832-98), writing under the pseudonym Lewis Carroll, transformed children's literature with this world-famous classic. First published in 1865, this tale of the topsy-turvy was originally created to entertain the young Alice Liddell and her sisters during a picnic in the summer of 1862. The humour with which Dodgson enlivened his mathematical works is exploited to the full here: many of the now-familiar nonsense songs and poems in the story are parodies of contemporary works, and there are a number of allusions to mathematical concepts in the text. The illustrations by Punch cartoonist Sir John Tenniel (1820-1914) depict the cast of much-loved characters - including the White Rabbit, the Cheshire Cat and the Mad Hatter - with a brilliance which perfectly enhances Dodgson's gently satirical fantasy. In its universal appeal, the story remains unsurpassed. An anxious rabbit in a neat cross-hatched jacket and waistcoat, peering anxiously at a pocket watch, his umbrella tucked securely under his arm – illustrator John Tenniel has been bringing the White Rabbit and all the other fabulous and strange characters of Alice's Adventures in Wonderland into being for generations of readers.